Our Bus fleet consists of many 8-21 passenger buses, mini-buses, coaches, and vans. 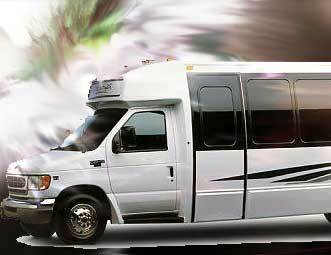 We offer all our montreal limousine bus fleet in black and white colors. All our Montreal Limousine Bus fleet come with TV, Air conditioning, and all the features required to enjoy a city tour or business outing. We also rent our buses on a weekly and monthly basis and with our AS-DIRECTED service. Please see more photos below.